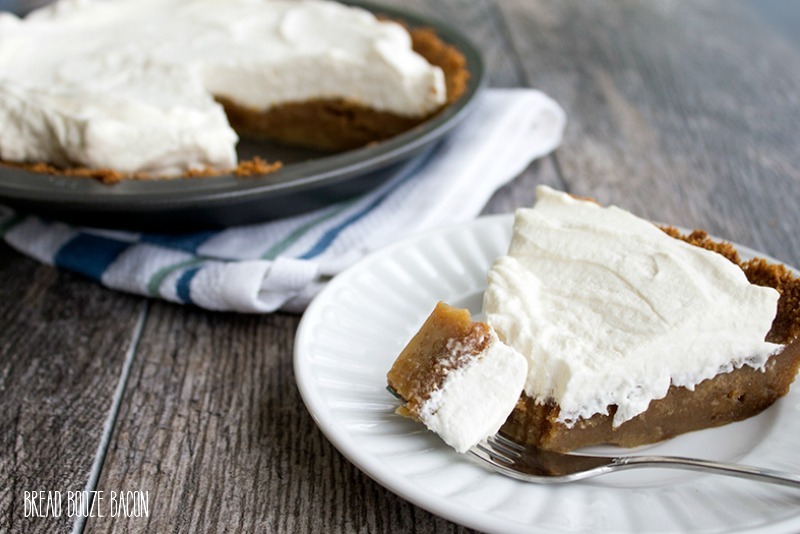 Root Beer Float Pie is a fabulous summertime dessert that’s always a crowd favorite! 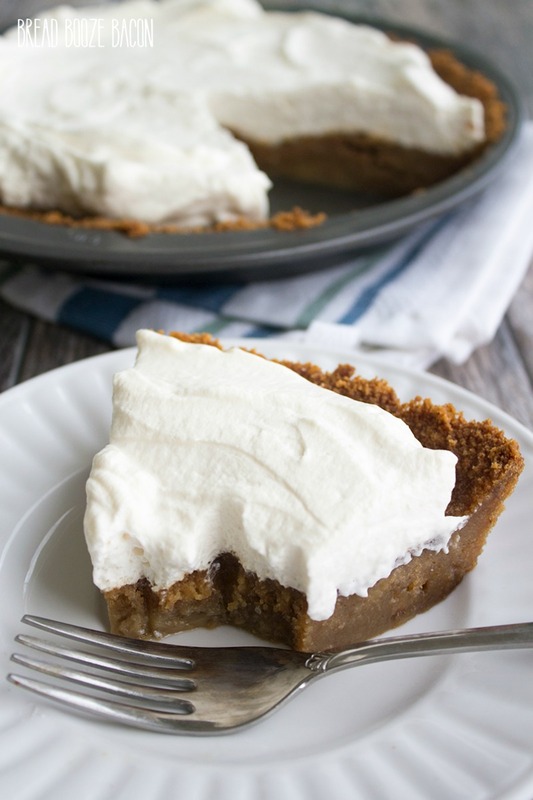 With a gingersnap crust and root beer filling, it’s a guaranteed hit! This pie might be something you’d see everyday, but she is totally rockin’! The filling is not overly sweet, which I kind of love, and the whipped cream gives a creamy, dreamy layer of dessert happiness. Now, you might be wondering how this whole root beer thing works. 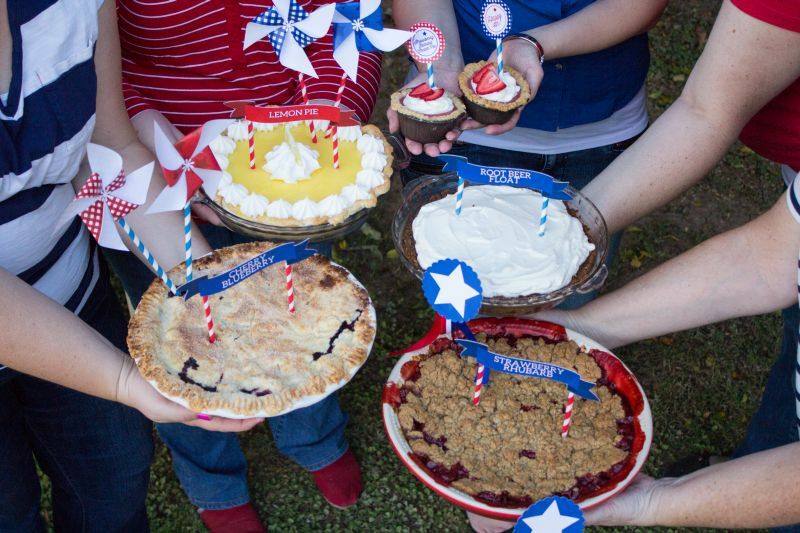 Well strap in and get ready, because you do NOT want to pass on this pie. There’s a reason she’s wearing a blue ribbons kids. I got this cookbook, First Prize Pies: Shoo-Fly, Candy Apple, and Other Deliciously Inventive Pies for Every Week of the Year (and More), from my cousin Emily for our wedding earlier this year (We got married on Pi Day, and this cookbook was totally perfect! ), and I’d been dying to make a recipe from it. 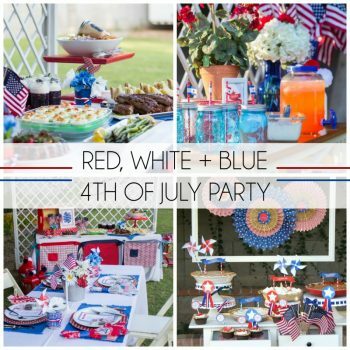 So when a few blogger friends and I decided to put together a 4th of July Party and pie was going to be the main attraction, it was game on! Story time. This first time I made this pie it was sitting on the counter cooling after I had baked the filling. Mike comes into the kitchen and said, “No offense, but what’s that? !” Haha. The root beet part of the pie looks a little weird by itself. The bubbles from the soda move to the top and form blotches and a few holes because of the carbonation. But that’s what a gorgeous layer of homemade whipped cream is for. To cover up the ugly and bring all the flavors together! The root beer custard (yes, that’s what it is) likes to balloon up a little in the middle, but don’t worry. The custard settles as the pie cools and all is right with the world. Also, the custard bakes into the crust, and the bottom crust basically disappears into the pie. However, you get that edge pie crust for a crunchy finish to each slice. This pie is so good! And for those wondering, I’ve made this pie with Mug and Barg’s root beer and you can use either. The Barg’s has more of a botanical/root beer (in a good way). The Mug is more mellow and lends more of a sweet soda flavor. Pick your favorite and you can’t go wrong. I’m even plotting to try this pie with Dr. Pepper. Mike is going to flip!! I scoured my cookbook and root beer float screamed summer to me. So here we are! A super fun pie that takes a little time, but is totally worth all the effort. And you should buy this book. It’s amaze-balls! 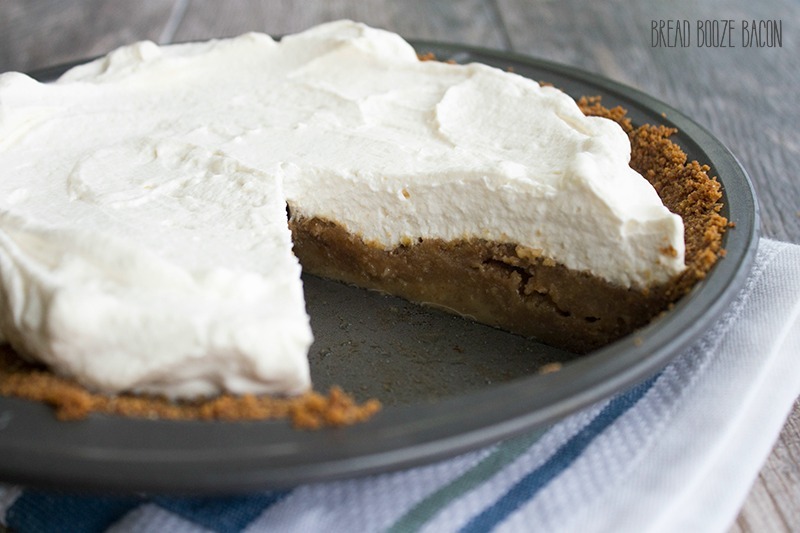 Root Beer Float Pie is a fabulous summertime dessert that's always a crowd favorite! 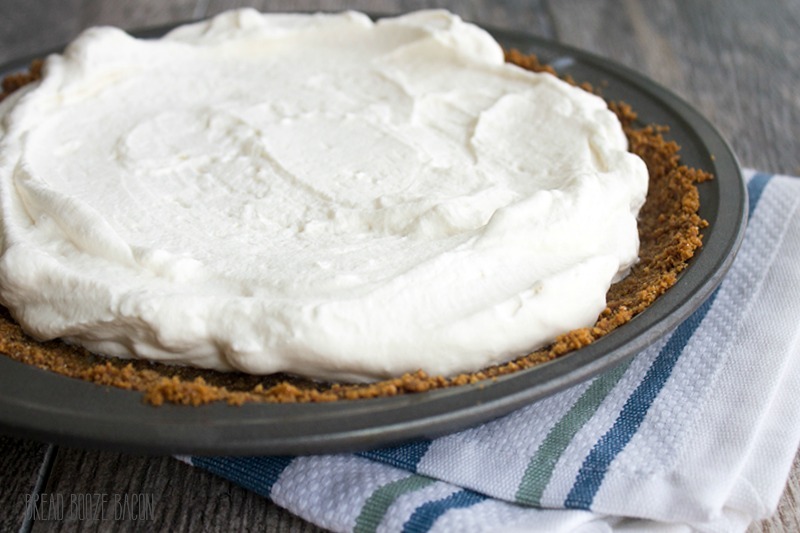 With a gingersnap crust and root beer filling, it's a guaranteed hit! Place all the cookies in a food processor and grind until fine crumb forms (work in batches if needed). Transfer the cookies to a medium mixing bowl and stir in the salt and sugar. Add the butter. Use your hands or a rubber spatula to mix the butter and crumbs together. The crumbs should be moist, but not overly wet. Pour the crumbs into a 9-inch pie plate and use your hands to press the crust up the sides and flat against the bottom. 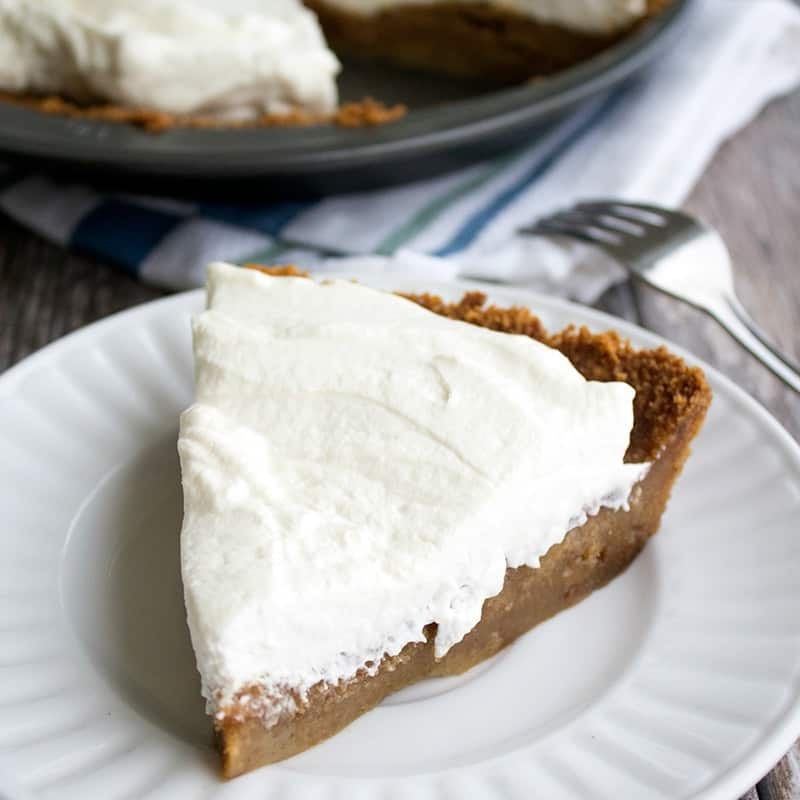 Place the pie plate in the fridge, and preheat your oven to 350 degrees F. (Don't skip the cooling time!!) Once the oven is ready, place your pie plate in the oven and bake the crust for 10 minutes. Remove from the oven and cool completely on a wire rack. In a large mixing bowl, beat together the eggs, sugar, and salt until combined. Mix in the root beer concentrate until everything is well combined. The mixture will be very runny. 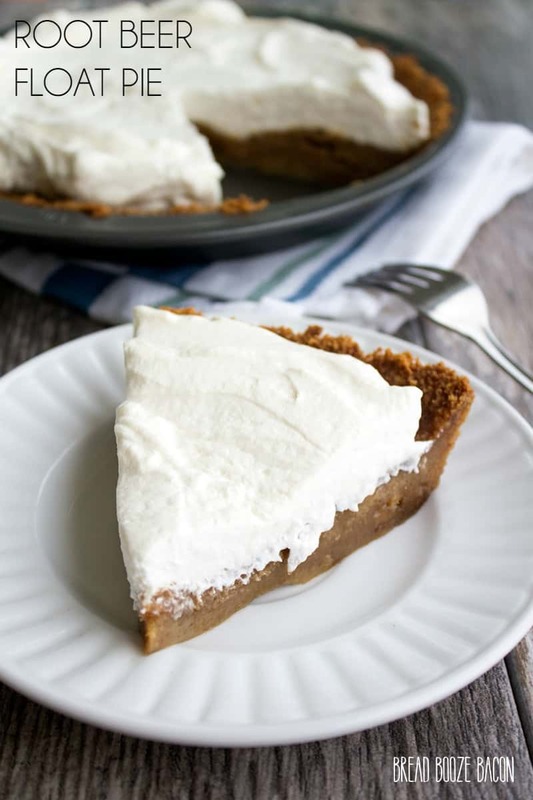 Place the pie plate on a baking sheet, and carefully pour the root beer mixture into the cooled pie crust. Bake pie for 22 to 27 minutes, or until the center of the pie will be set, but still slightly wobbly. Remove the pie from the oven and cool completely on a wire rack. In a large bowl, whisk together heavy cream, sugar, and vanilla until medium peaks form. Refrigerate until ready to serve, or at least 30 minutes. 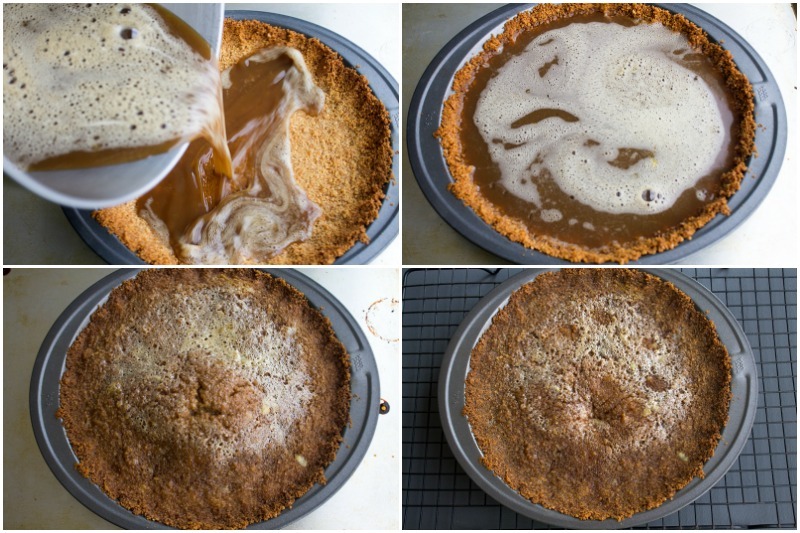 To save time, you can prepare the crust (or buy a graham cracker crust from the store) and make the root beer concentrate ahead of time. Then mix the filling and bake your pie when ready so you don't have to wait for each part of the pie to cool.